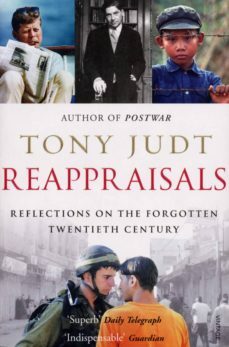 In Reappraisals award-winning historian Tony Judt argues that we have entered an age of forgetting, where we have set aside our immediate past before we could even begin to make sense of it. We have lost touch with generations of international policy debate, social thought and public-spirited social activism - and no longer even know how to discuss such concepts - and have forgotten the role once played by intellectuals in debating, transmitting and defending the ideas that shaped their time.Reappraisals is a road map back to the historical sense we urgently need. A masterful collection of essays, it examines the tragedy of twentieth-century Europe by way of thought-provoking pieces on Hannah Arendt, Edward Said, Albert Camus and Henry Kissinger amongst others.